Cook bacon in a large Dutch oven over medium heat until crisp. Remove bacon from pan, reserving 1 teaspoon drippings in pan. Crumble bacon; set aside. Add onion, celery, salt, thyme, and garlic to drippings in pan; cook 4 minutes or until vegetables are tender. Drain clams, reserving liquid. Add clam liquid, potato, clam juice, and bay leaf to pan; bring to a boil. Reduce heat, and simmer 15 minutes or until potato is tender. Discard bay leaf. Combine milk and flour, stirring with a whisk until smooth. Add flour mixture to pan; bring to a boil. Cook 12 minutes or until thick, stirring constantly. Add clams; cook 2 minutes. Sprinkle with bacon. 1. Make the pie dough. Fit 1 dough round into a 9-inch deep-dish pie dish and trim the edges flush with the rim. Refrigerate the pie shell and the remaining dough round for 30 minutes. 3. In a large bowl, toss together the peaches and lemon juice. In a small bowl, stir together the granulated sugar, cornstarch, salt and cinnamon. Add to the peaches and toss to combine. Pour the filling into the crust. 4. Transfer the remaining dough round to a work surface and cut into lattice strips. Arrange the dough strips in a tight lattice. Brush the crust with the egg mixture and sprinkle with turbinado sugar. Place the pie dish on a baking sheet. 5. Bake until the crust is golden brown and the filling is bubbling, 45 to 50 minutes, covering the top and edges with aluminum foil if they brown too quickly. Let cool on a wire rack for at least 4 hours, and preferably overnight, before serving. Serves 8 to 10. Apples, and so much more! They are open mid-August through the end of October. 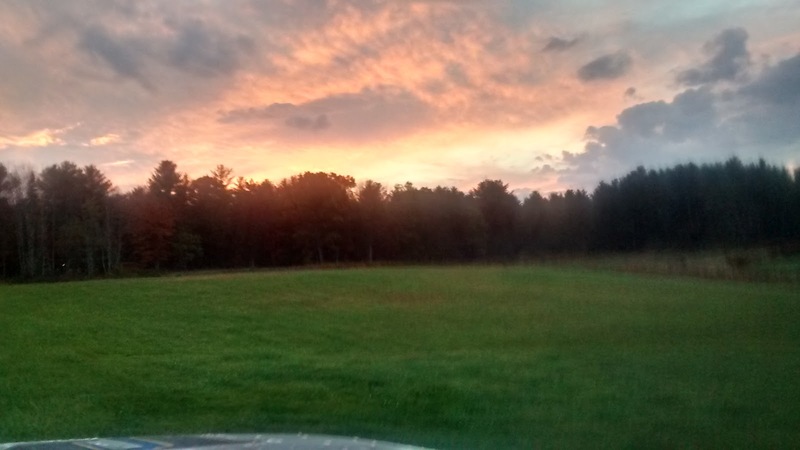 McDougal Orchards is a diversified seventh generation family farm in Southern Maine specializing in the production of high quality apples for sale to pick-your-own, farm stand, and local wholesale customers. 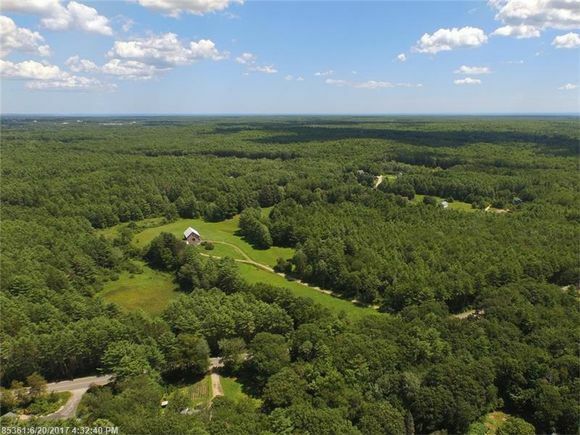 Located just a mile from downtown Sanford, McDougal Orchard's scenic location and proximity to the beaches and lakes of York County make it an extremely desirable day-trip location in the summer and fall. Customers pass through the dooryard of the historic farmhouse on their way to pick apples in the orchards behind the house, or stop to buy ready-picked fruit in the barn salesroom. Capt. Jack's usually making fresh cider donuts out in the Shack, as well! 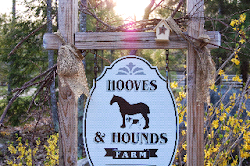 There are a few farm animals out back, a picnic area, a fairy village, and a corn maze for kids of all ages to enjoy. Plus, there's always a family member about to fill you in on the history of the place or how best to prune that old tree in your backyard. Hanging out at the pond, taking pictures , enjoying the cool air and thinking of starting a supper club. 1. To make the chive aioli, in a food processor or Ninja blender, combine the garlic and a big pinch of salt. Pulse several times until the garlic is finely chopped. Add the whole egg and egg yolk and pulse to combine. With the motor running, slowly add a few drops of the oil, and then follow with a slow and steady stream of oil. Continue to puree until fully combined. Transfer to a bowl, stir in the chives and adjust the seasoning with salt. Set aside at room temperature. 2. Fill a large bowl or clean sink with cold water and add the clams so that the sand can escape. Let them sit in the water while you prepare the broth. 3. In a large, heavy pot over medium-high heat, warm 1 Tbs. of the oil. Add the linguiça and cook, stirring occasionally, until browned on all sides and the fat is rendered, 6 to 8 minutes. Add the onion and cook, stirring occasionally, until soft, about 6 minutes. 4. Add the garlic, piquillo peppers, bay leaf and paprika, and season with salt and pepper. Cook, stirring frequently, until the garlic is soft and the spices are toasted, about 2 minutes. Add the clam juice, broth and potatoes and bring to a boil. Reduce the heat to low and simmer until the potatoes are tender, about 12 minutes. Add the cod and clams and raise the heat to medium-high. Cover and steam until the fish is opaque throughout and the clams open, about 10 minutes. 5. Remove and discard the bay leaf and any unopened clams. Gently stir in the parsley. 6. Serve immediately, topped with a dollop of the aioli. Serves 4. Combine the pasta, tomatoes, garlic, half of the chives and green onions, basil, oil, 2 teaspoons salt, black pepper, and water in a large pot. Bring to a boil over medium-high heat. Boil mixture, stirring and turning pasta frequently with tongs, until pasta is al dente and water has nearly been absorbed, about 9-12 minutes. Season to taste with salt and pepper. Garnish with basil and cheese. 1. Prepare a medium-hot fire in a grill. 2. Chop the tuna finely enough so that when you press some between your fingers, it clings to itself. Do not chop so finely that it becomes mushy. You can use a sharp knife and a sturdy cutting board or a food processor. If using a food processor, use the pulse button and be careful to stop pulsing before the fish is reduced to a puree. 5. Brush the grill grate and coat with oil. Coat the patties on both sides with the oil. Put the patties on the grate, cover the grill and cook for 3 minutes. Turn the burgers and cook uncovered for 3 minutes longer for medium-rare. Add 1 minute per side for medium-well. Have you had a chance to check out the Biddeford -Saco art walks. As the evenings get shorter we are nearing the end of the Art Walk Season. I am pleased to announce I will be stepping out of "The Studio in the Barn" , and sharing my photography at the upcoming walk on August 25th. Please consider stopping in to see my work , we can chat and enjoy a glass of wine . 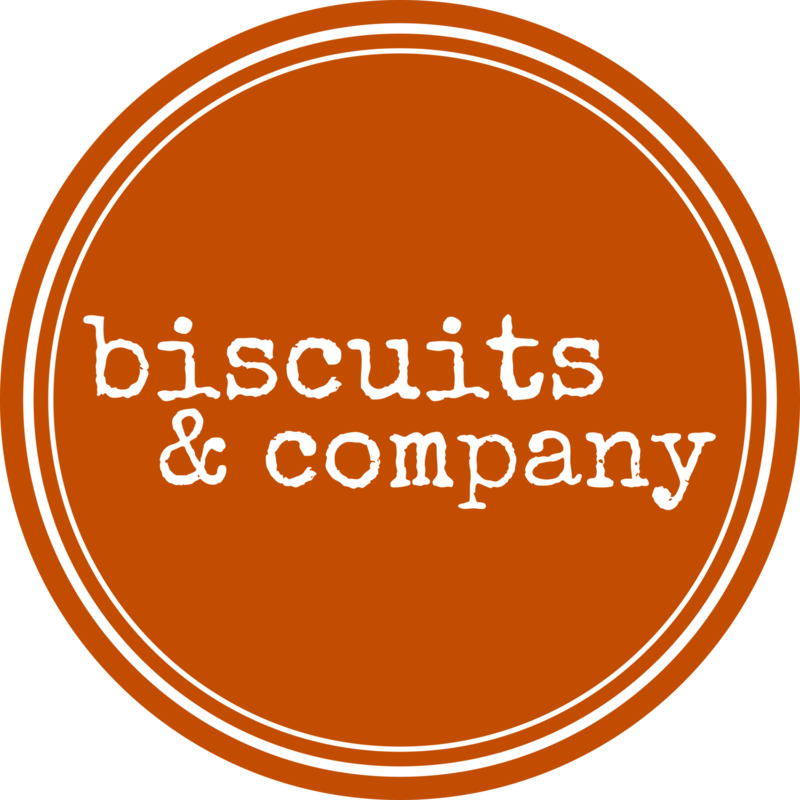 My work will be on display at Biscuits & Company. 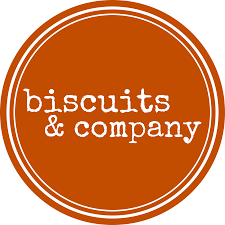 Located in downtown Biddeford, Biscuits & Company serves outrageous biscuit sandwiches and baked goods made with Maine Grown Grains and locally sourced ingredients. Sunday Brunch and Weekend Dinners have become local favorites. Biddeford + Saco’s ArtWalk takes place seven months out of the year, April through October, on the last Friday of each month from 5-8pm at various venues downtown and in the mills. Grate one clove of garlic through a microplane, or finely mince. Place in a bowl along with the yogurt, lemon, dried mint, and salt to taste. Stir well and set aside. Sauce can be made a few hours in advance. Cut the ribeye into 1 to 1 1/2-inch chunks. Push the remaining garlic through a garlic press, or finely mince. Place the steak and garlic in a large bowl, along with the cumin, garlic powder, thyme, rosemary, oregano, olive oil, cayenne, and salt to taste (be generous!). Toss well to coat. Get your grill nice and hot! Thread the chunks of steak through the skewers, leaving a half inch gap between pieces. Grill on the hot side for about 10 minutes (medium-rare) to 15 minutes (well-done), turning occasionally to get a good char on each side. Move the skewers around in case of flare ups to prevent them from burning. Let the kebabs rest 5 minutes, covered in aluminum foil. Serve with the cool yogurt sauce. Mix the flour, beer, and molasses thoroughly. Add grain to mixture slowly and mix well. Finally, mix in raisins. Pour this mixture into an oiled 12-by-15-inch pan, and place in a 250°F oven. When the mixture starts to firm up (about 25 minutes), remove the pan and cut the contents into bite-sized pieces. Then, return the pan to the over and bake until the treats are mostly dry and fairly firm (roughly 40 minutes). After removing the pan from the oven, let it cool before removing the treats. So everybody wants to know about Fred, resident Basset hound. Fred is a European Basset Hound, his unique color is "Lemon Pop". Fred has a wonderful personality , and travels most every where with us. 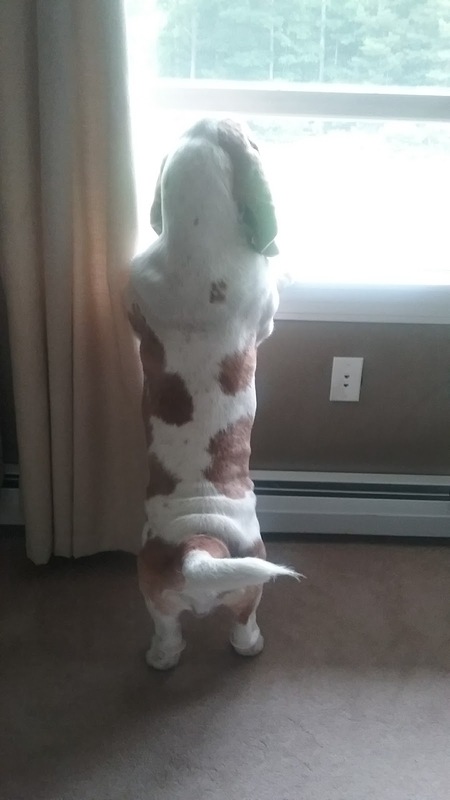 Fred is a large hot mess, he is all hound= he barks loud , drools and sheds ALOT but we love him. Change is in the air, Fall is about 50 days away, we have already lost an hour a day of sunlight. Folks are begining to prep for winter putting up hay and chopping fire wood. You can use either fresh or frozen blackberries in this recipe, but if using frozen, buy ones without added sugar, and thaw them before using, reserving the juice. Refreshing, slightly tangy and not too rich, this colorful sherbet makes a perfect summer dessert for those evenings you don’t want anything too heavy. In a blender or food processor, puree the blackberries (along with any juices from thawed frozen berries) until smooth. Pour the puree into a fine-mesh strainer set over bowl, pressing on the solids to extract as much of the puree as possible. Discard the solids. Add the sugar and whisk until dissolved. Whisk in the buttermilk and lemon juice. Freeze the mixture in an ice-cream maker according to the manufacturer’s instructions. Transfer to an airtight container and freeze until firm enough to scoop, 4 to 6 hours. Makes about 1 1/2 pints. So I find my self in "that spot" again. The spot where one of my exchange students exclaimed "hamburger's , hot dogs, chicken again". Also known as August in New England, we have had Lobster Risotto two weeks in a row and pesto two weeks in a row. Time to find some "new" recipes. Today I am off to Girard Farm Stand in Lyman Maine. 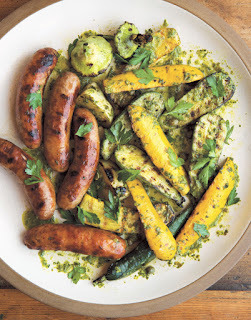 Bright-tasting sauce verte (green sauce) perks up the sausages and squash in this summery grilled meal. The sauce is also great with grilled chicken and fish. 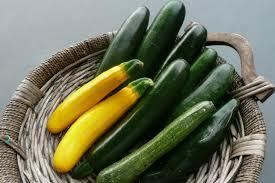 Brush the squash halves with olive oil and season on all sides with salt and pepper. Arrange the squash halves and sausages on the grill directly over the fire and grill, turning as needed, until the squash halves are just tender when pierced with a sharp knife, about 4 minutes. 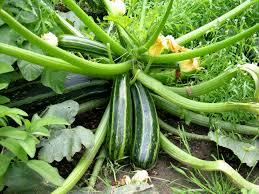 Transfer the squash halves to a platter, and toss with about 1/3 cup (3 fl. oz./80 ml) of the sauce. Continue grilling the sausages, turning as needed, until cooked through, about 4 minutes longer. Transfer the sausages to the platter with the squash, sprinkle with the parsley, and serve. Pass the remaining sauce at the table. Serves 4 to 6. The most perfect event for Bob and I to attend, the only thing missing is Draft Horses. Cook book signing/ I collect cook books. Multi course meal / we both are foodies. 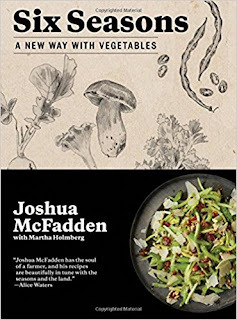 A very special evening this Tuesday August 8th ,Dinner with cook book author Joshua McFadden & Rabelais Books at Palace Diner. 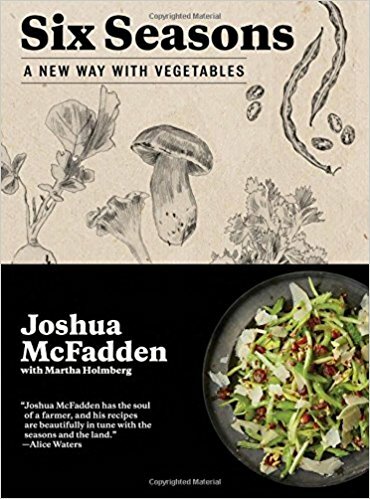 Joshua is a former Mainer and Chef/ Owner of Portland Oregon's Ava Gene's and Tusk . I have been out and about, photographing tractors. 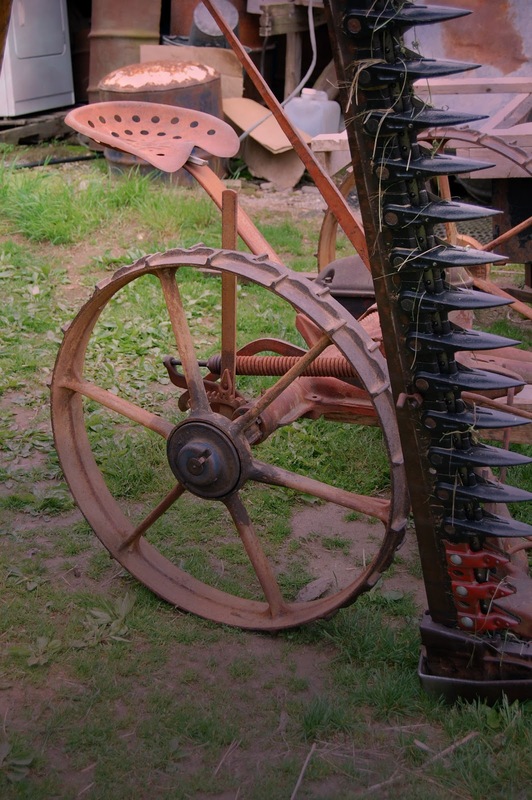 On a recent excursion, I found a farm with a great farm stand. To make this acceptable to Bob as a "real meal" I added sausage, crumbled and cooked it, and add it in when I was mixing everything together before baking. 1. Have ready 6 hot, sterilized half-pint (8–fl. oz./250-ml) jars and their lids. 2. In a large nonreactive saucepan, gently stir together the berries, lime zest and juice, lemon juice and sugar. Bring to a boil over medium-high heat, reduce the heat to medium and cook, uncovered, stirring frequently, until the jam has thickened, about 15 minutes. It will continue to thicken as it cools. 3. Ladle the hot jam into the jars, leaving 1/4 inch of headspace. Remove any air bubbles and adjust the headspace, if necessary. Wipe the rims clean and seal tightly with the lids.